Setting up the BBS system enabling the communication of two persons over telephone lines when he was a student at the Physics Department at the Bosphorus University, Atif Unaldi established the first Internet connection in Turkey. He achieved a “first of its kind” type project again in Turkey by making an Internet and information program at Radio D (Radio Club) named “Farenin Kuyrugu” (The Tail of the Mouse) between 1992-1994. In 1994, he prepared, presented and produced a nightly live show,”RadyoNet”, appearing five weekdays on Kanal D. This was the first program consisted of live computer pictures from beginning to end. 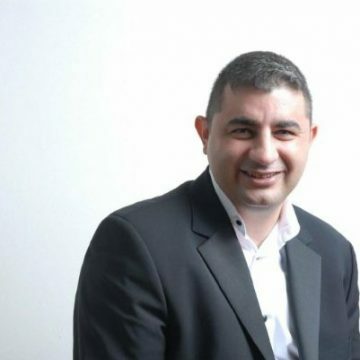 Atif Unaldi was the General Manager of the first Internet service provider in Turkey, Anadolu.Net, between 1994-1996. Being the supervisor of the World Air Games I in 1996 and 1997. Later he worked as a columnist in Akşam Newspaper, Ekotimes, Computerlife, Finansal Forum, Star Newspaper Atif Unaldi is the former chief editor of T3 Magazine. He gave lectures in Istanbul University, Okan, Marmara University. Being the CIO of Buybye.com, Unaldi produced and presented a programme, TRON, in Technology Channel. As of December 2004, Unaldi was the IT Director of Star Media Group. After Star, Unaldi becomes the Internet Director of Kanal D and Star Tv, Unaldi also produced the Technorock programme in Rock Fm. He also worked as Business Development Consultant of Arzuhan Yalçındağ. After establishing Kral Club which was a Turkish social media of Turkish biggest music television Kral TV Group, he worked with Demet Sabanci in both Mediasa and Demsa. Currently Atif Unaldi is working as a consultant. President of IPTV association and wrote books sold in Amazon.